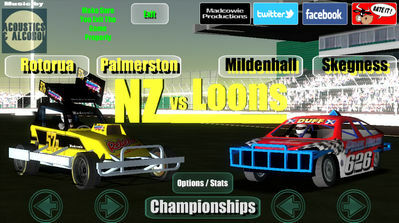 Choose your car type and start racing in NZ vs Loons, a game by Madcowie bringing UK's loons against NZs for a battle of fate! race your heart out!! 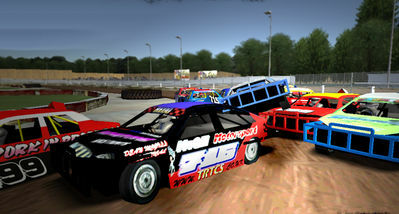 Race in New Zealand's powerful Stockcars, or UK's saloon cars with big bumpers. Each car has its advantages so choose wisely and head to the tracks for a fun racing experience! Shale and tarmac physics tweaked on the Saloon. Will pull out of opposite lock easier on shale. On tarmac it will pull out easier when your on opposite lock and lift the throttle. Skill level now adjustable in options.